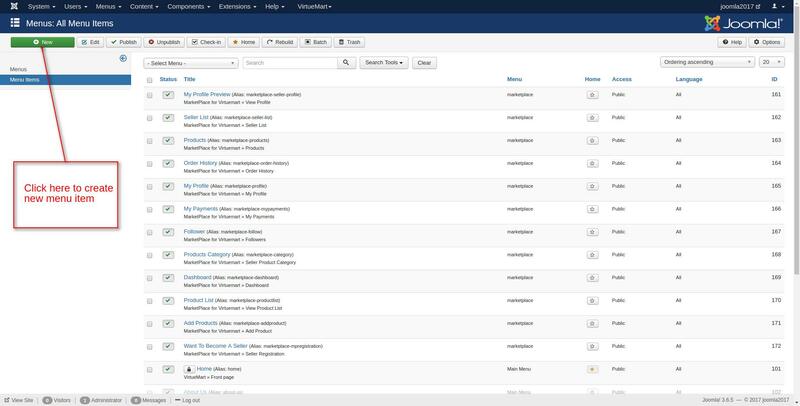 UVdesk Joomla Free Helpdesk Ticket System integrates UVdesk with Joomla store. 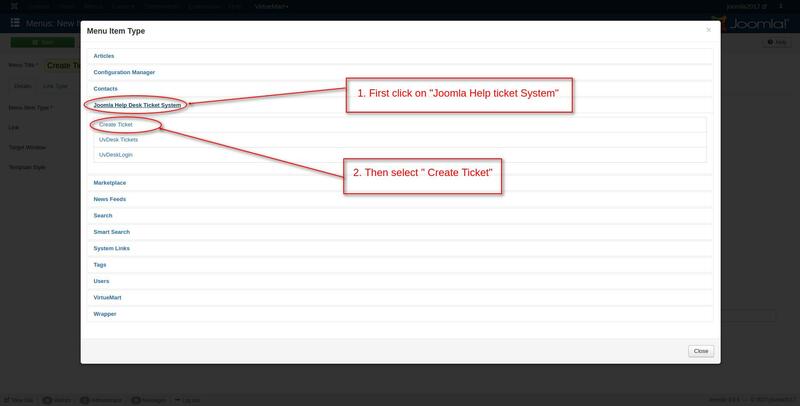 Using this add-on admin can manage all the tickets from Joomla store backend. 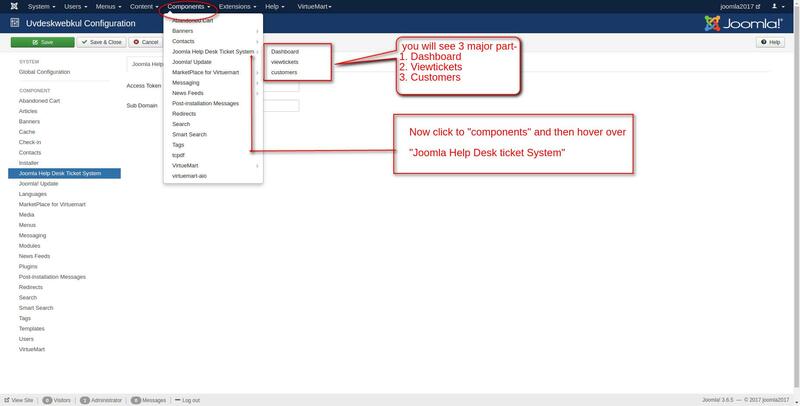 Customers can also respond to tickets from Joomla store’s front-end. The updates/replies on the tickets will be instantly updated on both the platforms i.e. 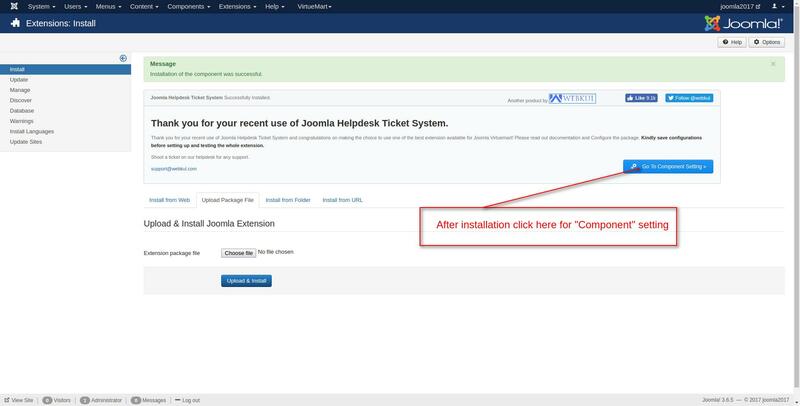 if admin responds to a ticket using Joomla Store then the reply made will also be updated on the UVdesk. All the changes are made in real-time on both the platforms. This add-on provides a platform where site owner(Admin) can be easily connected with their customers in order to provide them with support (after-sale and presale). 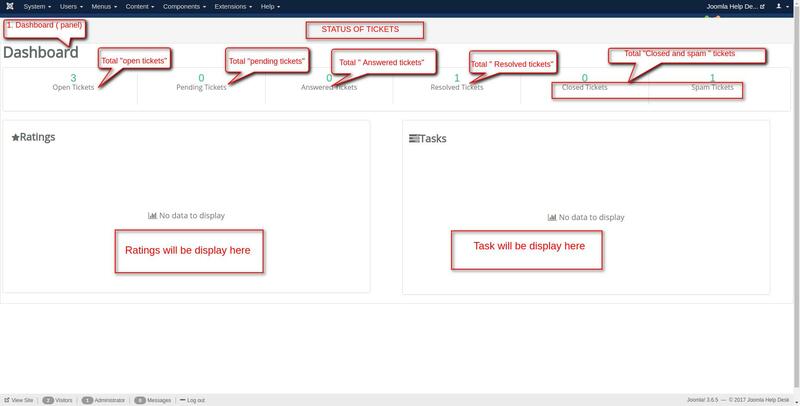 All the communication via UVdesk is recorded so admin can check the history of any ticket at any point of time. As a result, It can be used as a virtual support where a single person (site admin) can easily manage the entire customer support. 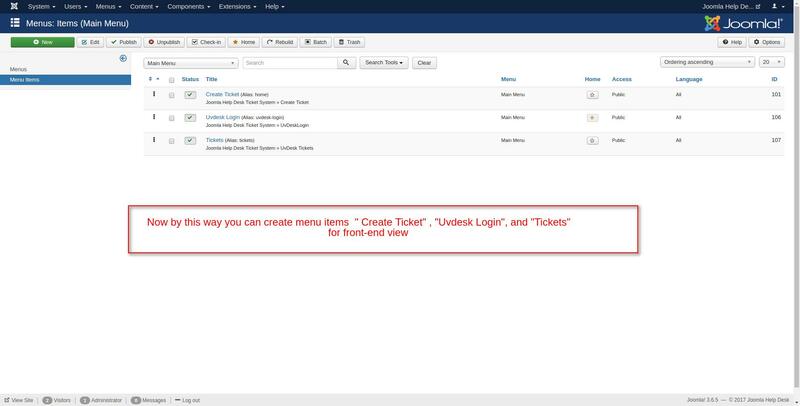 Extension integrates UVdesk, Ticket Support System with Joomla. 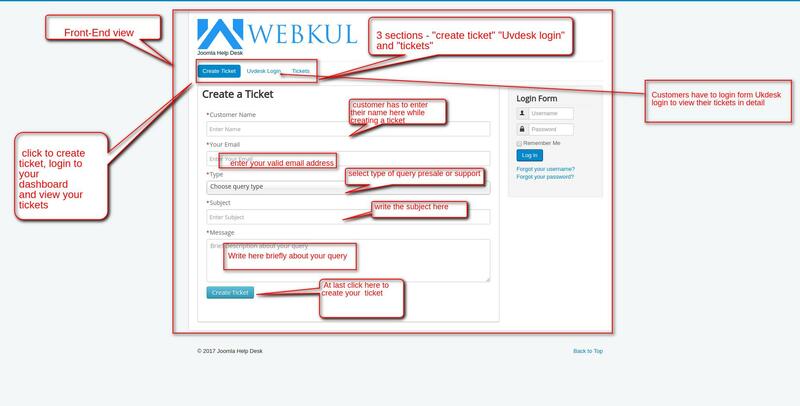 Register user can create tickets. 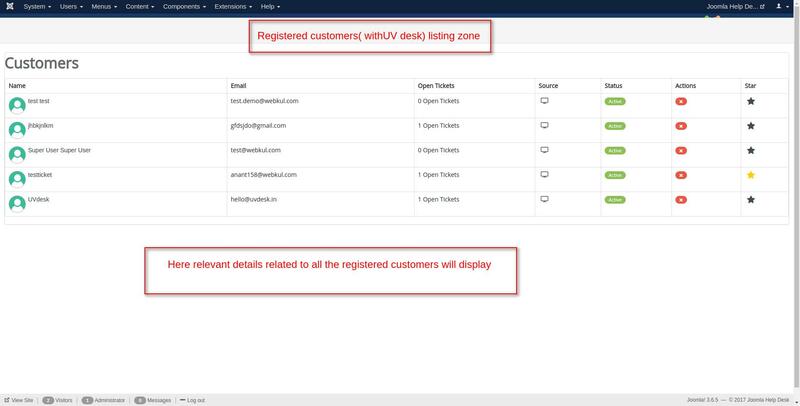 Ticket reply to the customer can be sent either from Joomla back-end or UVdesk Dashboard. 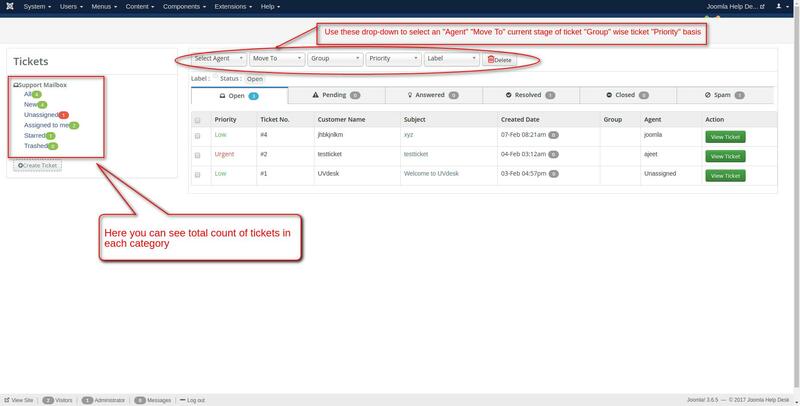 In fact, customers can filter tickets based on various properties. 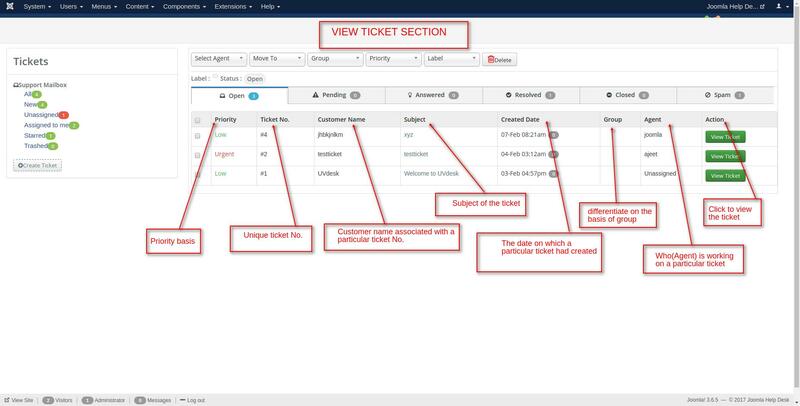 Admin can filter ticket based on customer. 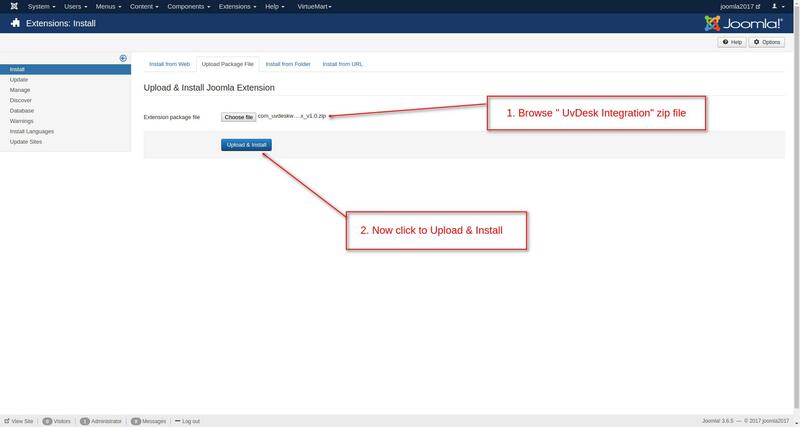 Browse UVdesk – Joomla Free Helpdesk Ticket System zip file then upload and install. 3 – What is the Sub Domain Name? 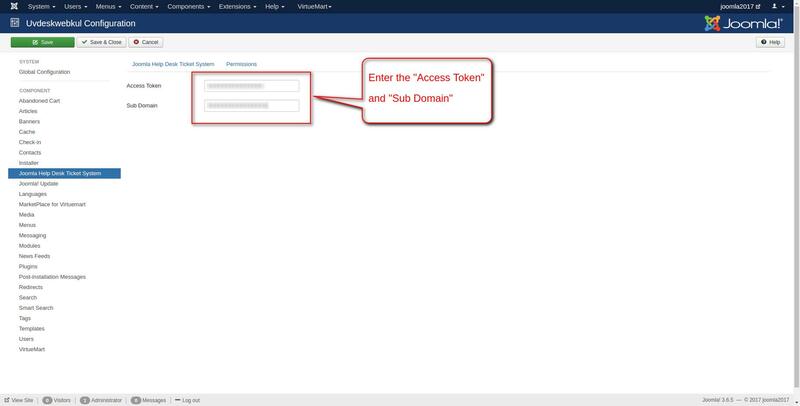 Subdomain name of your helpdesk is the name which appears in your helpdesk URL for example if your helpdesk URL is – https://name.uvdesk.com here subdomain is name which you need to put in Sub Domain section. 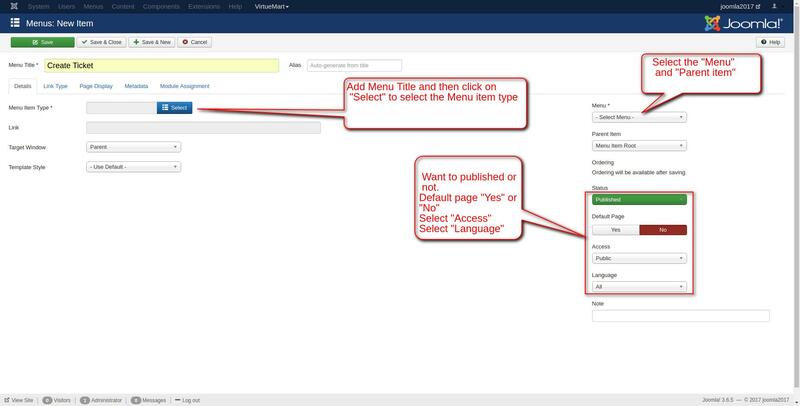 Here you need to create “menu items” under a particular menu for Front-end view. Here you can see all the “menu items” are listed, Similarly, you need to create other menu items as shown. This is the front-end view where customers( may registered with your Jommla site or may not be) can create ticket(s) for presales or support.